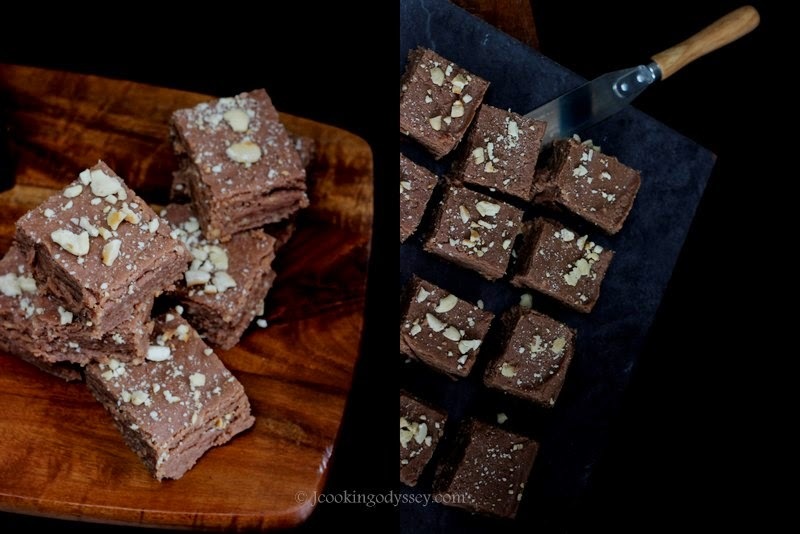 Jagruti's Cooking Odyssey: Nutella Barfee / Barfi - Milky Nutella Fudge ! When it comes to any kind of chocolate spread or Nutella, I've never been that enthusiastic. I just couldn't understand how the world has gone nuts for Nutella, until I brought one tiny little jar in my kitchen, only after I started my food blogging. 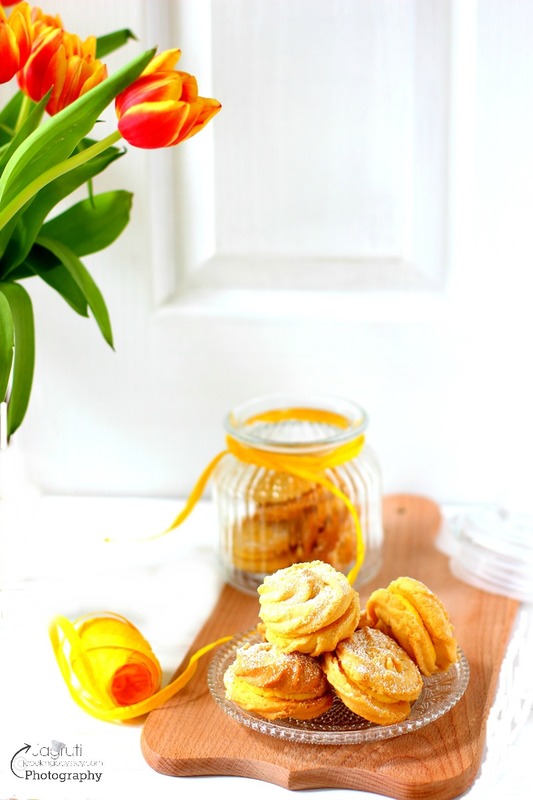 Almost on every food blogging site, bloggers were talking about Nutella , and Nutella recipes were gaining huge popularity. I felt bad, thought I am the only odd one out, having four generations in our family in the UK but We never spoken that word in the house and never got tempted by Nutella or any chocolate spread as I am not a chocolate fan myself. However I thought since it is " cool " to try to seem an "international mindset", I jump into this popularity bandwagon and tried Nutella first time just four years ago and created couple of Nutella recipes, Homemade Ferrero Rocher , and Vanilla Doodh Poha with Nutella Panna Cotta. Okay, I've got to admit that Nutella is downright delicious and tastes great, it is addictive but still I have not fallen in that trap, Nutella jar is not a regular item in my kitchen and rarely use in some recipes, quite to the contrary father and daughter duo consume every devilish spoonful from the jar every time, and I know they won't be giving up this treat anytime soon ! I may not enjoy Nutella directly on my toast or pancake, but Nutella Barfee is a whole different ball game. I love it when it has a whole new dimension, eastern flavour with a richness almost to die for. I made this Barfi, almost a year ago for a small celebration in the family, which I knew I have to post a recipe on here, because it's just so damn moreish and received so many positive compliments. Nutella Barfee came about as I was experimenting something new with the original recipe to bring about a twist with a western touch and there was success in every bite ! It was divine, delicate and silky smooth. These barfee can be served either on religious gathering or other celebrations, I bet your family and guests will really appreciate your efforts for trying something new. These Nutella Barfee can be given as a edible gifts or why not make a special treat for Valentines Day !! Place milk powder in a one big bowl, add melted ghee and 2 tbsp. cream. Take heavy based pan or kadai and start roasting the milk powder mixture on a very very low heat. Barfi looks really yummy. Have to try it but have to wait to get hold of Nutella. We don't get it readily in Kenya. Aha--I was waiting for this! Looking scrumptious--definitely not a perk while I'm whiling away a beautiful day hungry in the library. Delish though! How many days do the barfis last with and without refrigeration? Can these be rolled into balls or it has to be flat and allow to set before cutting? I would say Barfi version looks good as you can garnish it with some dry fruits and yes you have to all ow to set before cutting into barfi pieces. OMG you have a wow collection of sweets. Nutella barfi looks delectable. This is certainly on my to-do list. Oh my god this is sinfully good nothing can go wrong with Nutella for sure, this one I am certainly going to try for the coming festivities, your recipes are always full proof and awesome. How delectable and scrumptious these burfi looks. It will be a real treat for nutella lovers. My my such scrumptious barfis���� I will surely try them out this festive season!! 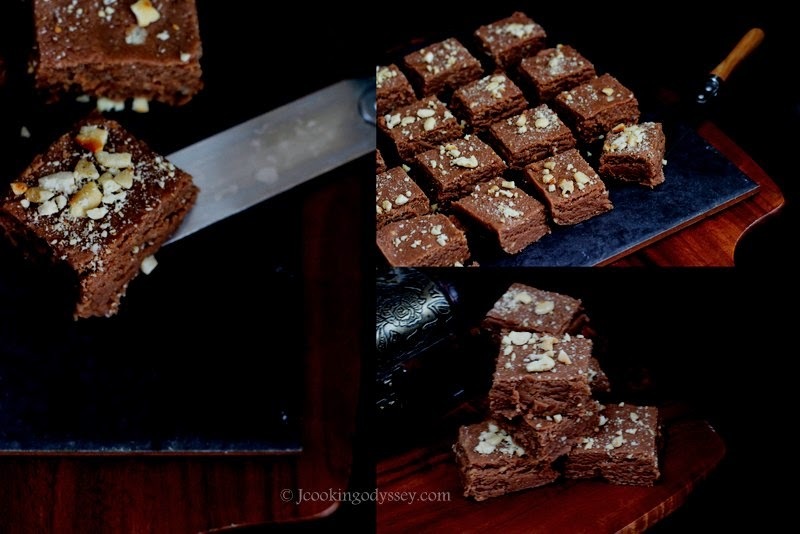 The Nutella fudge looks delectable and simply irresistible !! Droolesome share as usual ! I love everything about this recipe. The burfis look so scrumptious.. I am drooling over those pictures. Will definitely try this recipe. Thanks for sharing !!! nutella barfee sounds interesting, definitely a festive treat and quick to make. Nutella really taste great, great share for coming festival time. The nutella burfi looks so delicious, I am also not a big fan of nutella but this one looks so delectable Jagruti. Nutella burfee sounds delish jagruti! Nutella here is a rarity at home, so when seen they do vanish fast! This is a wonderful addition to Diwali sweets list!! Ah, Jagruti I am still the odd women. Not a fan of nutella still but your burfi looks delicious and especially the colour. Just wow! What is the size of the condensed milk can.